BU2280FV DVD-Video Reference Clock Generators for Audio Video Equipments BU2280FV BU2288FV BU2360FV BU2362FV By ROHM Co. Ltd. 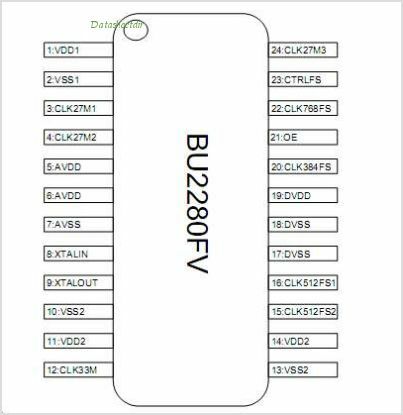 This is one package pinout of BU2280FV,If you need more pinouts please download BU2280FV's pdf datasheet. 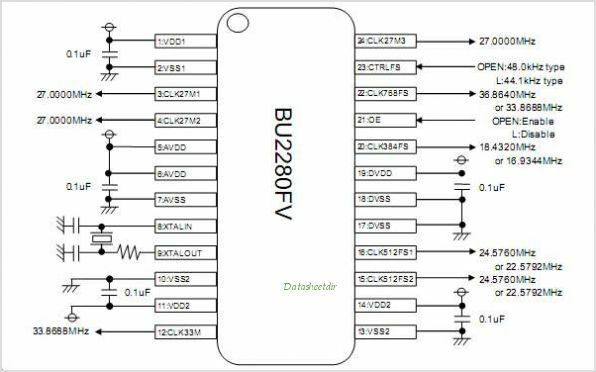 This is one application circuit of BU2280FV,If you need more circuits,please download BU2280FV's pdf datasheet.